Yuletide is here again in the Pirate Skyways! It’s time for your Pirates to get decked out in their favorite winter holiday gear, mounts, pets, companions and more! Skull Island is full of yuletide decorations. The Yuletide present boxes with holiday surprises, have returned! Stock up on gold, furnishings, special pet snacks and more as you farm the holiday boxes. It’s a great way to collect some gold to purchase training tomes for all your crew! This entry was posted on November 30, 2018, in News and tagged 12 days of spiral, 2018, games, Kid friendly, kid safe, newsletter, online, Pirate101, Pirates, yuletide. We would like to extend our thanks to all of you for visiting our blog throughout this past year. And we send out A Happy Thanksgiving to you and yours for a wonderful and happy Celebration! 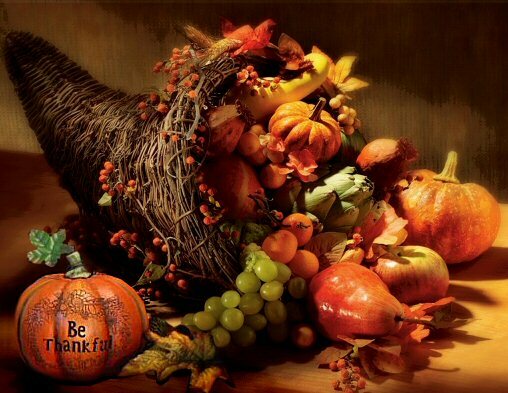 “In the 19th century, the modern Thanksgiving holiday started to take shape. In 1846, Sarah Josepha Hale, editor of a magazine called Godley’s Lady’s Book, campaigned for an annual national thanksgiving holiday after a passage about the harvest gathering of 1621 was discovered and incorrectly labeled as the first Thanksgiving. It wasn’t until 1863, when President Abraham Lincoln declared two national Thanksgivings; one in August to commemorate the Battle of Gettysburg and the other in November to give thanks for “general blessings.” ~ National Geographic: The First Thanksgiving. Many Blessings during this holiday season! This entry was posted on November 22, 2018, in News and tagged 2018, games, happy thanksgiving, Kid friendly, kid safe, online, Pirate101, Pirates. If you logged in today, you might have noticed the Royals at KingsIsle have issued another Member Special for the Pirate101 Skyway. Take advantage of these specials while they last! This entry was posted on November 21, 2018, in News and tagged benefits, bottle, games, in-game, Kid friendly, kid safe, membership, message, online, Pirate101, Pirates, promotions, special. To celebrate this giving time of the year, the Royals at KingsIsle are giving away a special set of gifts to all Pirate members! Get yours today! Visit Pirate101.com and redeem your Free 2018Thanks code to receive your gifts! These giveaway items are available from today to December 31st, 2018 at 12:59pm eastern time. If you need help in picking up and redeeming your holiday prize, check out our How To Receive and Redeem A Pirate101 Gift. This entry was posted on November 20, 2018, in News and tagged benefits, bottle, games, in-game, Kid friendly, kid safe, membership, message, online, Pirate101, Pirates, promotions, special. To honor all those who have served their country, the Royals at KingsIsle are giving away the Peace Dove Pet! You can pick up this new pet for both Pirate101 and Wizard101, for Veteran’s Day. Veteran’s Day this year, is observed on Monday November 11th. From now until Sunday, November 25th at 12:59pm US Eastern Time, you can use the code dove2018 to get your free pet. If you need help in picking up and redeeming your pet prize, check out our How To Receive and Redeem A Pirate101 Gift. Thank you for your service, to all our Veterans, past, present and future! This entry was posted on November 9, 2018, in News and tagged games, Kid friendly, kid safe, news, newsletter, online, Pirate101, Pirates. If you logged in today, you might have noticed the Royals at KingsIsle have issued another Member Special today for the Pirate101 Skyway. This entry was posted on November 8, 2018, in News and tagged benefits, bottle, games, in-game, Kid friendly, kid safe, membership, message, online, Pirate101, Pirates, promotions, special.